I guess I could be wrong on the vertical street on the left. Perhaps it's Kebo Street? What's odd though, is where it runs into Cromwell Harbor Rd. On the book map, there's a little dogleg at the bottom that runs from Kebo to Cromwell Harbor. It just appears to be the border of a bunch of trees. Is there a path there or something? I don't see anything on street view. Seems odd that it would be so highlighted in orange as a road? There is no longer a road there, but historically there was. Maps up through 1956 show the branch, but it is no longer present in maps from the early 1980's. 1904 – Map showed two branches at the south end, the west branch being the current route. What was the each branch now appears to be the northeast boundary of the triangular parcel of 65 Kebo Street. Comparing a variety of maps - including the 1956 one, the one in my Maine Atlas, the one put out by the park service, and Google maps to name a few, I find they are all a little different, even comparing current ones. So whether a specific road matches the exact curve shown on any one of them, or whether a mark is in the exact same spot, is less important to me than why the authors chose specific roads to include on their map. They included a number of minor side roads, ones that don't even show up on some of the maps. Why pick those and not others? I have a theory about why they selected the roads they did, but admit I hadn't noticed that little connector that is no longer there. Good catch. I've been working off the premise that we don't need to go "outside" the book to find answers, and so far my theory has fit using just the information on the Fandango map. I admit I've been comparing maps, but I'm trying not to base my conclusions on what I find there. I try to find things that can "prove out" using the book. I will take another look at that little connector to see if and how it fits with my theory. Thanks for your discussion on this! And for the images - I don't know how to add photos here so I appreciate the ones others post! Wow, I never knew about the old cross road from Kebo St to Cromwell Harbor. My friend owns the house in the wood on that corner. Sounds like I need to pay him a visit and take a walk. I will be going to MDI for a few days soon and pulled out my waterproof Appalachian Mountain Club map of the island to pick out a few hikes. I was immediately struck by the similarities between this map and the Fandango map - I'm pretty sure this is the map they used as a template for the book - it has all the same roads highlighted, and it includes that little dog leg at the intersection of Kebo Street and Cromwell Harbor Road. The athletic fields along Main Street are marked and, because it is a topographic map, it has contour markings showing the elevations of the island and its mountains. The labels look hand-written, so it resembles the map scraps on page 11, "Hidden Away." This map came in the AMC Guide Book for Maine, but I haven't been able to find it online. Can you post a picture of the App Mtn map? Also, on the key page there this little swatch of green map with an 8? and a red X.
I know they post things like elevations on maps, like the 852 to the right of that. But why would a map just have an "8"? They wouldn't put an 8 ft elevation. Is it an infity symbol sideways? Note the 8/inf thing and the red X are directly under the gemini symbol and two gemini figures, both looking like a sign with two parallel vertical bar connected with horizontals. 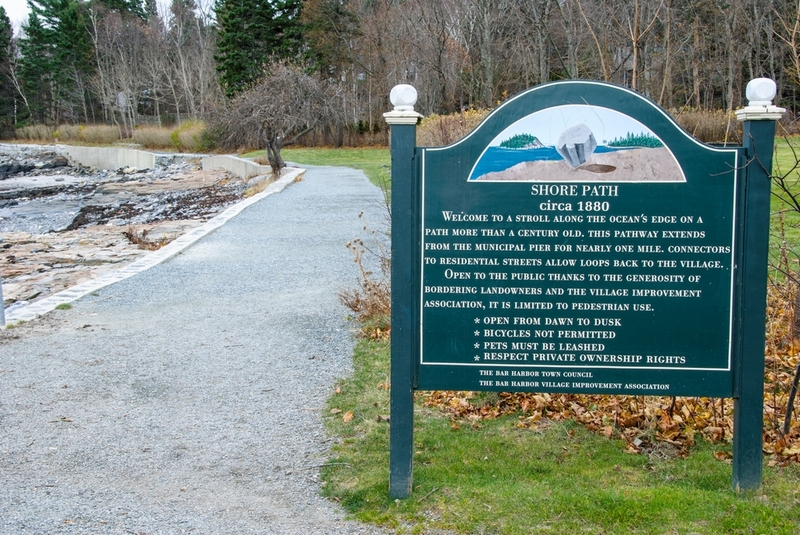 The Shore Path sign is located by the Balance Rock. The hotel with the Infinity Pool was just built back in 2010 and opened in 2011.